We all know what happens when Mommy Dearest finds wire hangers in the closet, but a new exclusive clip from the upcoming film A Bad Mom’s Christmas teaches us some other no-no’s that incite some equally horrible parenting. The film follows three under-appreciated and over-burdened women as they rebel against the challenges and expectations of the Super Bowl for moms: Christmas. And while these “bad moms” — played by Christine Baranski, Susan Sarandon and Cheryl Hines (dream team!) — may piss off a family member or two along the way, that’s nothing compared to some of the shenanigans they had to deal with growing up. 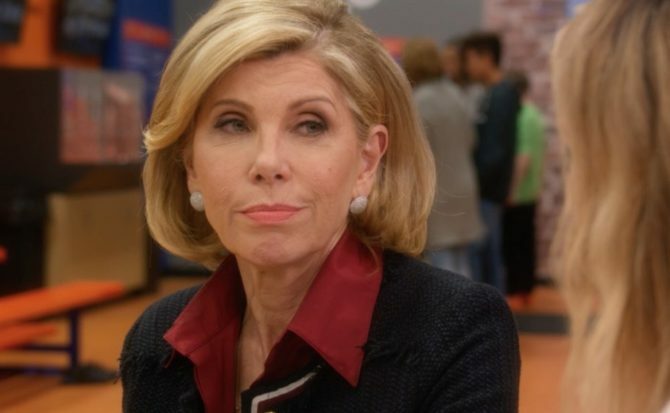 In the below clip, Baranski’s character explains how she learned the hard way that open-toed shoes are simply not appropriate for a sailboat. Now we know!